I haven't used the Emerald viewer, although people around me have been talking about it a lot for ages. There are trial uploads to test new textures, the ability to export your own products and creations from SL to OpenSim and a whole lot more. Having set up my own OpenSim locally, I needed a viewer that would allow me to transport my builds to OpenSim from SL, legally, and so I got to the point of downloading the Emerald client just as this thread began on the SL Universe Forums. 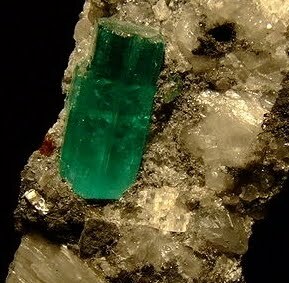 Initially it was a bit gossipy, speculation about the comings and goings of Emerald developers and of limited interest to me... read on though. By page three it is alleged that the login screen for all the users of Emerald viewer was used to attack a blog written by someone the developers at Emerald don't seem to like much. I am hazy on the history, but my attention was caught by the idea that they could embed something in their login screen which was just one pixel square, which would have my computer trying to download from the hapless blogger's website. This means that not only did it appear that they were organising an illegal attack on a blogger, but that they were prepared to use the customers for their viewer to do it. According to Arabella's blog, this wasn't a distributed denial of service attack (DDoS)... it was a "poor attempt at boasting that failed miserably". Like the people discussing it at SLU, I don't buy it. Notwithstanding their claim that Data Linden and Qarl Linden have joined them, I'm afraid the undermining of trust was complete for me... I deleted Emerald without ever having fired it up. Frankly, given that they admit the attack on the blogger, they are in deep trouble. I think LL should ban the viewer, as being untrustworthy. Edited to add: you might want to check out Talwyn Mills' summing up of the Emerald situation, as there is a bit more details.